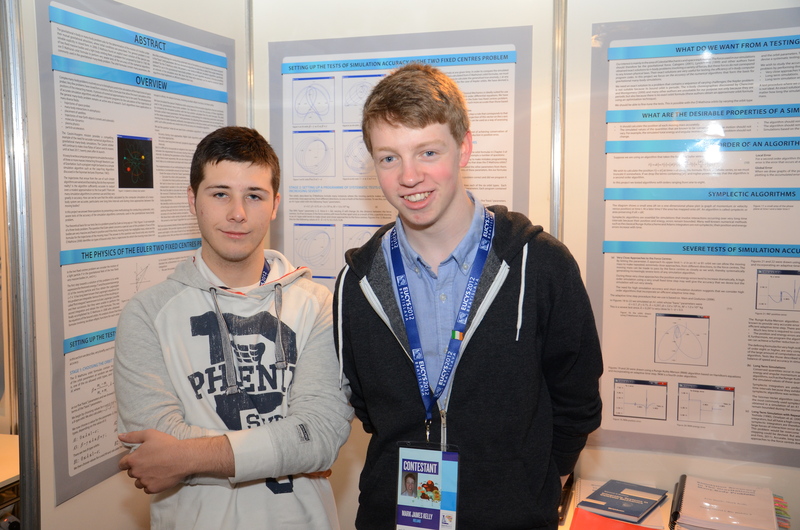 Synge Street students Eric Doyle and Mark Kelly have been awarded first prize at the European Union Contest for Young Scientists in Bratislava today. The two students gained top prize in the area of physics with their project entitled “Simulation accuracy in the gravitational many-body problem”. A prize of €7,000 and an honorary award of an all-expenses paid trip to the London International Youth Science Forum were awarded to the boys from Synge Street CBS, Dublin 8. “This is excellent on so many fronts – for Eric and Mark’s future career prospects, for their school, for the stature of the BT Young Scientist exhibition, and not least of all for Ireland,” said Colm O’Neill, CEO, BT. The contest was divided into three categories with students from Poland and Austria also taking home top prizes for their projects in chemistry and engineering, respectively. This year’s competition attracted 117 contestants aged between 14 and 21 and from 36 countries. Eric and Mark were the only contestants representing Ireland in Bratislava. Since the competition’s establishment 24 years ago in 1989, Ireland has taken home the top prize 14 times, which BT said outperformed all other countries. The boy’s winning project has a diverse range of applications from satellite placement to predicting network congestion in telecommunications. Their journey started earlier this year when they won the 2012 BT Young Scientist & Technology Exhibition prize.